Thought it was time once again to give you an update on how our dancing is coming. The Captain and I have been taking lessons at Arthur Murray. We’ve been learning things like the Merengue, the Hustle, Swing, the Waltz, the Salsa and some fancy turns within those dances! At first I was completely nervous, but after these few weeks, I feel like we’re ready to maybe possibly dance out in public! Get your Introductory lesson for free – when you tell ‘em that Brook sent ya’! 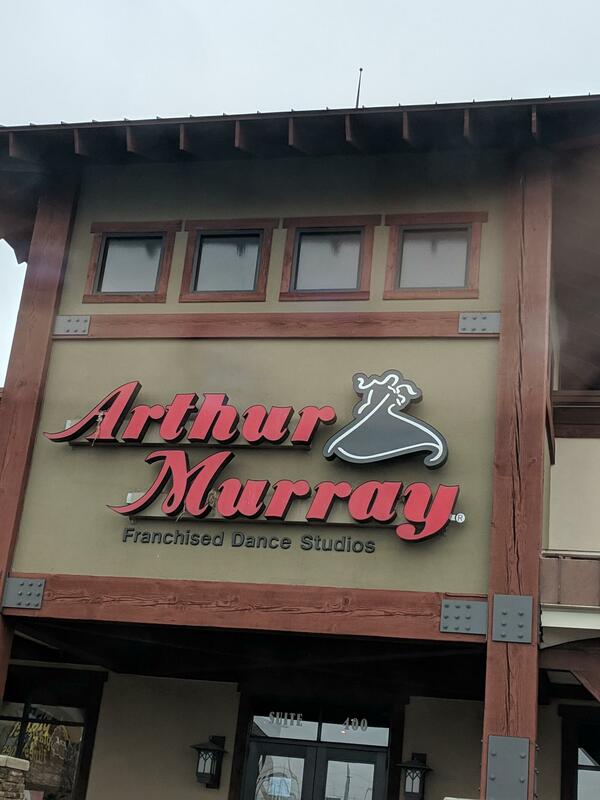 Give Arthur Murray a call and walk in and dance out!